In the near future, food made from genetically engineered (GE) crops will be labeled, not because it will allow worried consumers to avoid it, but because it will be the ethical choice at the grocery store. Although the first generation of GE crops mainly focused on improving production, with such enhanced traits as resistance to insects and herbicide tolerance, the next generation of genetically engineered crops will be even better for the environment and farm workers, requiring fewer harmful and expensive chemical fertilizers and pesticides, and will have nutritional enhancements that will directly benefit consumers and particularly the poorest of the poor in food insecure countries. 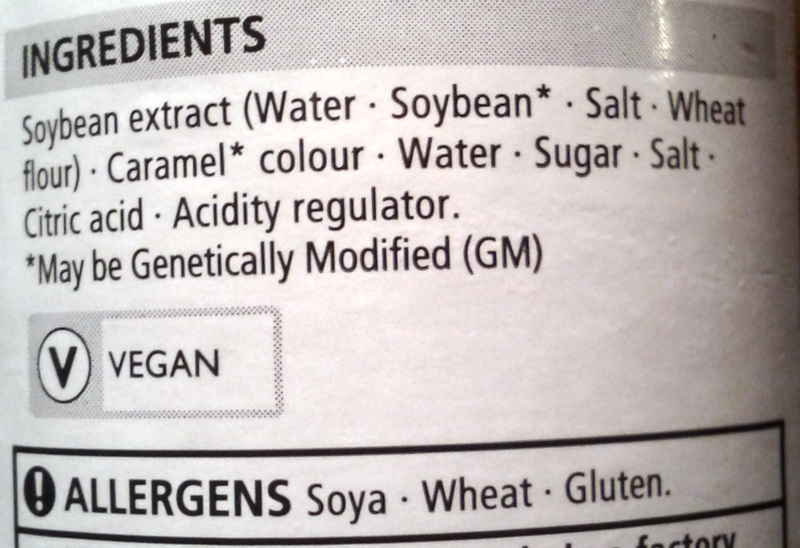 Voluntary labeling: this soy sauce is clearly labeled as being made from soybeans that include genetically engineered varieties. 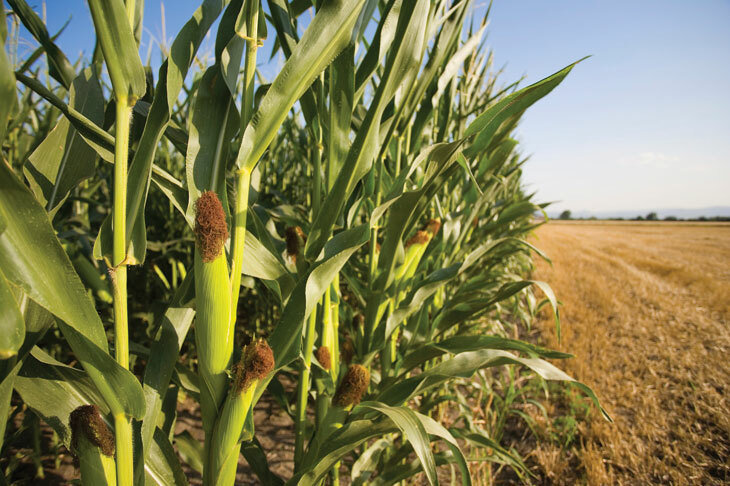 The GE crop varieties of the near future will be adapted to local climate and soil conditions, as well as local tastes and cultural idiosyncrasies. As such, the new generation won’t solely be developed by large multinational corporations like Monsanto, but also by local universities and small family-run businesses, and a significant proportion of these biotech crops will be cultivated using organic farming practices. 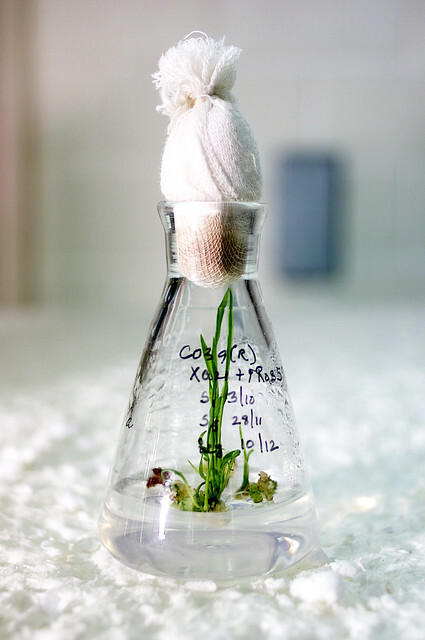 With public mistrust of biotechnology at an all-time high, these predictions seem far-fetched. Fortunately, scientists and government agencies worldwide are very aware of an urgent need for public education, which can ameliorate the spread of misinformation and fearmongering threatening one of the greatest tools for achieving the UN Millennium Development Goal of sustainably feeding a growing global population. The public perception is that there is raging controversy in scientific circles on the safety and utility of GE crops, with researchers arguing at the lab bench and in the field, and scientists locked in furious debate with one another at scientific conferences. However, this is simply not true. There is overwhelming scientific consensus on this issue (as there is on climate change, evolution, and the benefits of vaccination). Those who claim there is insufficient research on this topic are simply wrong. Many hundreds of peer-reviewed scientific papers have been published on many aspects relating to the safety of transgenic crops. The nonprofit GENERA (Genetic Engineering Risk Atlas) project curates the most extensive and complete database of these. The vast majority of these studies (and I mean 99.9% of these, not just 51%) all come to the same conclusion: the risks to human health from consuming food made from GE crops are no different than those from consuming their conventional, non-GE equivalents. This seems like an odd way of saying GE crops are safe, but the fact is that the very act of eating anything carries a small amount of risk anyway. Apart from the risk of food-borne bacterial infection (which can happen even with organic produce), we forget that plants don’t really want to be eaten: potatoes naturally produce a toxic alkaloid called solanine to protect themselves; celery naturally produces psoralens, a type of chemical that can cause severe skin burns; unless cassava, a staple crop for much of Africa, is properly prepared, it can lead to cyanide poisoning; and even seemingly innocuous red kidney beans are always served cooked, to deactivate a naturally produced protein called phytohaemagglutinin which causes severe vomiting and diarrhea. Saying something is good for you simply because it’s natural is a fallacy: arsenic is natural and that’s clearly not something anyone wishes to put in their body. Using biotechnology is just one way we can ensure our crops produce more of the nutritional molecules we need, and less of the harmful ones we don’t. The leading scientific agencies, including the AAAS, the National Academies of the United States, the European Food Safety Authority, and the WHO have issued very clear statements emphasizing the scientific consensus on genetically engineered crops: the process of genetic engineering poses no threat to human health, and farming of biotech crops can lead to great economic and environmental benefits. Despite this comprehensive body of knowledge (and through manipulation by the anti-GMO movement), the media has focused undue attention on a very small number of studies that claim the opposite of the scientific consensus on the risks GE crops pose to human health and the environment. This is likely in an effort to ensure journalistic balance; however, there really aren’t two sides to the science here. Almost invariably, these contrary studies are exercises in bad science published in low-ranking journals by a few dissident scientists, often with conflicts of interest. Giving this much exposure to bad science can be downright dangerous: in the case of AIDS denialism, the South African government’s adoption of the fringe cost many human lives. 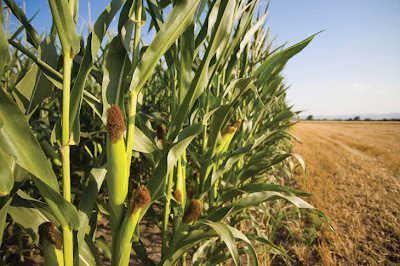 Thankfully, the South African government has since changed its stance on antiretroviral therapy, but the German government has still not approved the planting of MON810 corn (engineered with a bacterial protein that prevents caterpillars from feeding on the plants, diminishing the need for harmful chemical pesticides) despite the fact that the vast majority of evidence suggests it poses no danger to non-target organisms. These regulatory decisions were based on a very small number of poorly conceived or inconclusive studies that could not subsequently be duplicated by other laboratories, ignoring the vast number of scientifically rigorous studies that indicate that these crops are harmless to other insects. A large body of scientific evidence indicates that corn engineered to be resistant to insects is safe for human consumption. Again, a few insubstantial bits of data cannot sufficiently contradict a very large body of scientific knowledge and do not constitute “scientific controversy”. Nevertheless, and quite understandably, laypeople react emotionally to this perceived controversy, because it is presented to them as whistleblowing by the news sources and environmental and health blogs they trust. This makes otherwise rational people don honeybee costumes and pretend to die in public spaces in protest of GE crops (even though the use of engineered crops instead of pesticides increases biodiversity, and there is mounting evidence that a combination of pathogens and conventional pesticides may be what’s truly decimating bee populations). People are protesting GE crops because they feel they have been informed and need to be upset about something, when what they should be upset about is how scientific ignorance is being employed as leverage by special interest groups to divert attention and energy away from what we really need to be doing to fix the world’s food and agriculture systems. 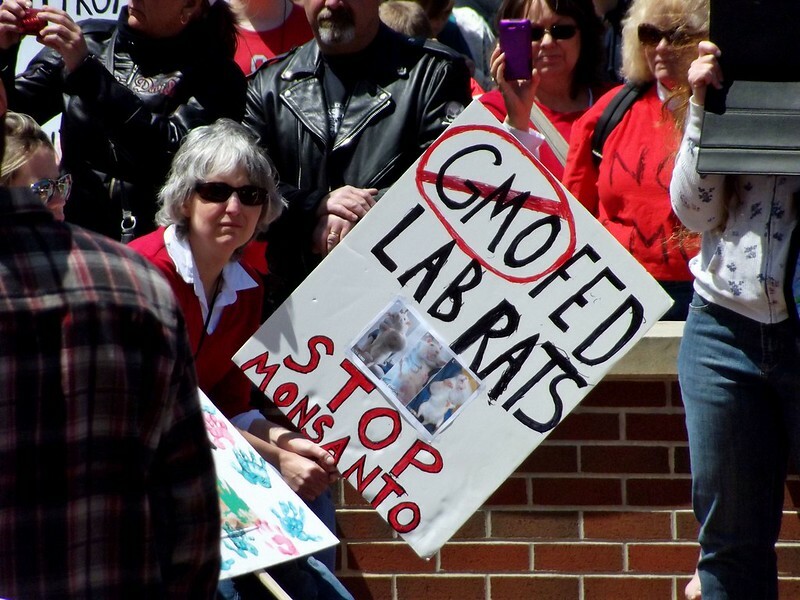 At the March Against Monsanto held on the 25th of May 2013 in various cities across the world, anti-GMO protesters held up images of rats covered in large cancerous tumors, ostensibly caused by feeding on GE corn. The images came from a 2012 paper by Gilles-Eric Séralini of CRIIGEN, an anti-GMO group, and published in the journal Food and Chemical Toxicology. It purported to provide evidence that consuming corn engineered with a bacterial protein conferring tolerance to the herbicide glyphosate (sold by Monsanto under the trade name Roundup) causes cancer. There were several serious problems with the study, from bizarre statistical manipulation of the data, to insufficient numbers of control rats. But the most glaring shortcoming was the fact that none of those gruesome images of rats were accompanied by images of healthy control rats. This is because the control rats (fed a non-genetically engineered diet) also developed tumors: the strain of rat used in the study is used to study chemotherapy drugs, and were bred to naturally develop tumors at a very high incidence. They were entirely inappropriate for this kind of study, and none of the data could be used to make the claims they tried to make. The Séralini paper has now been thoroughly discredited by several scientists, science journalists and scientific agencies. The whole fiasco is such a classic example of bad science that it now even has its own Wikipedia entry. However, a 2013 paper by Anthony Samsel and Stephanie Seneff, published curiously enough in the small physics journal Entropy (note, not a journal focusing on biology), again spurred alarming news reports. This pseudoscientific paper claimed that Roundup is the cause of a mindboggling array of diseases, including Parkinson’s disease, diabetes, and autism. However, the Entropy paper was written by authors who aren’t even biologists at all, documented no actual experiments, and in fact cited Séralini’s discredited study as a reference for a number of arguments they made. Again, this paper was adequately debunked by scientists and journalists. Dr Ariel Poliandri of the Cancer Division at Imperial College London promptly compiled a useful guide to detecting bogus research: in short, important research is published in important journals. If it’s not, be wary. It’s interesting to note that both these papers were published in low-tier pay-to-play journals with inadequate peer review. If this was really the solid, groundbreaking work it claimed to be, it would have been published in one of the big science journals, whether open-access or not. This stuff all looks and sounds very “sciencey”, but is not real science, and not only damages the good reputation of science in the public eye, but is now having a dangerous influence on governmental policy on GE crops all across the globe, with the governments of countries like Russia and Kenya basing much of their biotech policy on the little trickle of bad science, instead of the large volume of good science. In an idealized world uncoloured by political agenda, the endeavours of science are neutral. Most scientists you’ll talk to about genetic engineering are in fact neither opponents nor proponents of GE crops: they only care about what the scientific evidence says. If the sum total of the scientific evidence said otherwise, the scientific consensus would change. (Disclosure: I am a plant scientist who studies the genes of cereals. I’m neither involved in the production of transgenic crops, nor am I funded by any companies that are.) It is not the job of scientists to increase public acceptance of genetic engineering, it is the job of scientists to increase public trust in and understanding of the scientific data: in this case the data overwhelmingly says that GE crops are safe. But perhaps where science needs most help is in explaining itself. The Proceedings of the National Academy of Sciences are impenetrable to the public, but Dr. Oz gets beamed into every home with a friendly smile and a whole dose of hokum. Everyone should have a basic level of scientific literacy, so that we can stop expending so much energy on fighting misconceptions about science. Recently British environmentalist Mark Lynas, who helped start the anti-GMO movement in the 1990s, apologized for demonizing agricultural biotechnology and feeding into anti-GMO conspiracy theories, and some influential bloggers are also starting to let go of old, misinformed points of view. My hope is that sometime soon everyone will agree that biotech crops, like organic farming practices, are part of a larger set of really useful tools for sustainable agriculture. Scientists are very good at explaining what it is they do—to other scientists. However, they are notoriously bad at explaining their research to the general public. Science is currently facing a PR crisis, as evidenced by polarizing media coverage of such topics as climate change, vaccinations, and genetically engineered crops. 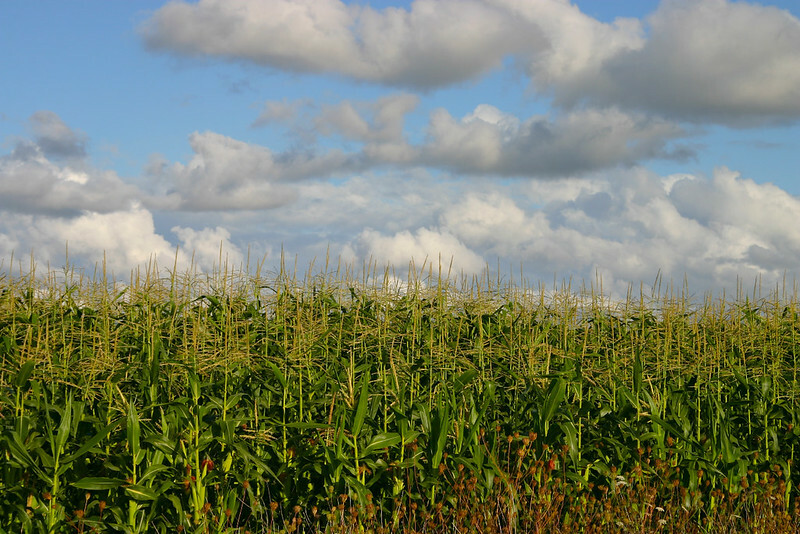 Growing public mistrust of agricultural biotechnology is especially disconcerting. During Norman Borlaug’s Green Revolution of the 20th century, agronomists developed small-growing but high-yielding varieties of the world’s staple crops. These advancements in crop science are widely celebrated for saving billions of people from starvation. But in the 21st century, we’ve shifted from such public reverence for agricultural science to consumer rage and bewilderment in the produce aisle. How did we get here? In doing your own research on a topic like genetically modified organisms (GMOs), you’ll come across online articles to support almost any claim. Figuring out whether those claims are made with authority and are based on sound science can be tricky. Just because something uses a lot of jargon and sounds ‘sciencey’, it doesn’t necessarily mean it is. 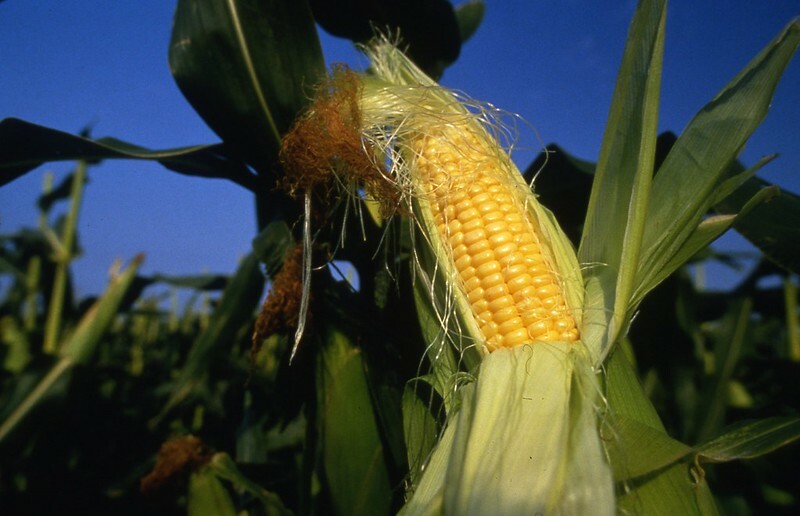 Genetically engineered (GE) crops are some of the most intensively tested food we’ve got. The overwhelming scientific consensus from many large-scale studies published in leading peer-reviewed scientific research journals says that GE food crops pose no additional risk to human health and do not have nutritional profiles different from those of conventional crops. Entire nations of people have been eating them for a long time now, with absolutely no health problems that can be attributed to GE technology. Studies promoted by anti-GMO campaigners as supposed evidence of the harmful effects of consuming GMOs on our bodies are taken out of the context of the larger scientific consensus, and most often consist of dubious, inadequately reviewed research. Dissidents insist on touting badly designed junk science studies, attempting to generate the perception that there is disagreement in the scientific community, when this is not the case. The media, in a misguided attempt at reporting with balance, tries to give equal weight to both sides of the story. However, just like the scientific consensus on the theory of gravity, there really is no other side to the story—there is only gravity. With the recent rejection of California Proposition 37, labeling of food made from GE crops has gained more media coverage worldwide. 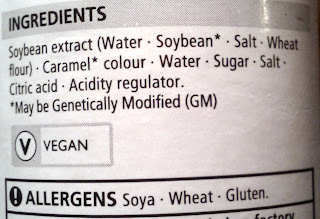 Merely labeling a product “contains GMOs” makes it seem like a warning of some sort, and in fact does not allow a consumer to make an informed choice at all. It’s simple scaremongering, and a wasted opportunity to educate. As a consumer, I might want to know that a product is made from a crop engineered to use less chemical fertilizer bad for the environment, or to require less pesticide that might be harmful to farm workers. Food labeling helps us all make informed decisions, and it’s how that labeling is done that makes the difference. We need to grow more and better food on less suitable land under increasingly variable climatic conditions. The best way to ensure future world food security is to combine biotechnology with sustainable agricultural practices. Subsistence farmers, growing crops like cassava and sorghum, stand to gain the most as scientific research expands beyond industrial commodity crops like maize and soybeans. Current and future research efforts will focus on engineering traits of direct benefit to the end consumer, delivering more nutrients to those suffering from hidden hunger, such as Golden Rice, engineered to help alleviate vitamin A deficiency. Because of scientific progress, we are living healthier, longer lives than ever before in the history of our species. So embrace the biotechnology in your basket, because scientific agriculture is the greatest tool for sustainable living on this planet into the 21st century and beyond. My biology showcase on Tumblr.